Planning and managing a corporate event can be a juggling act. Venue to catering, rentals, audio visual equipment, entertainment or florals for one event can mean multiple points of contact that need to be coordinated. You can relax with Skyline where we take care of all the details at this stunning corporate event venue. Board of Director meetings and shareholder events can range in size. 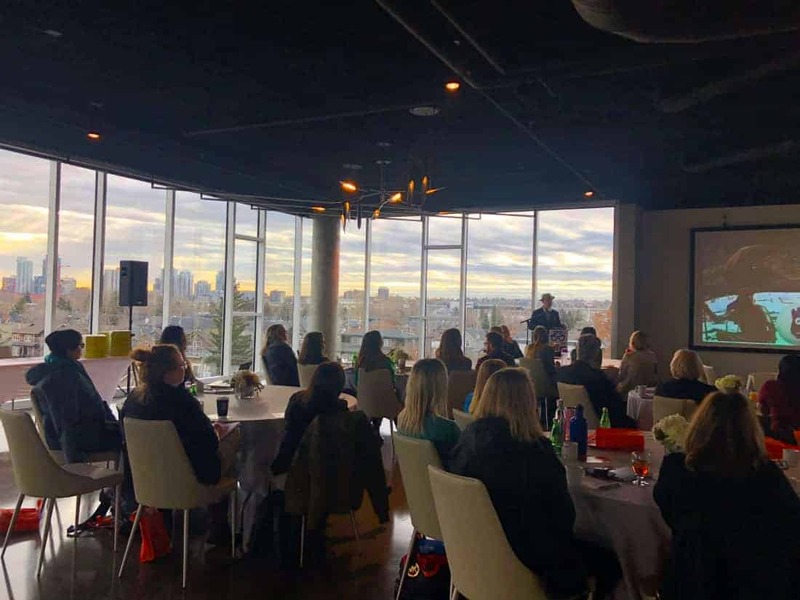 The Skyline room can be set up with your attendees in mind. To make sure your Board or shareholder meetings are done right, we can offer planning services to manage all the details. Do you have a new product that you want to tell the world about? Product launches can generate media coverage and industry buzz for your company. Product launches can include special guests and Skyline can make a lasting impression. 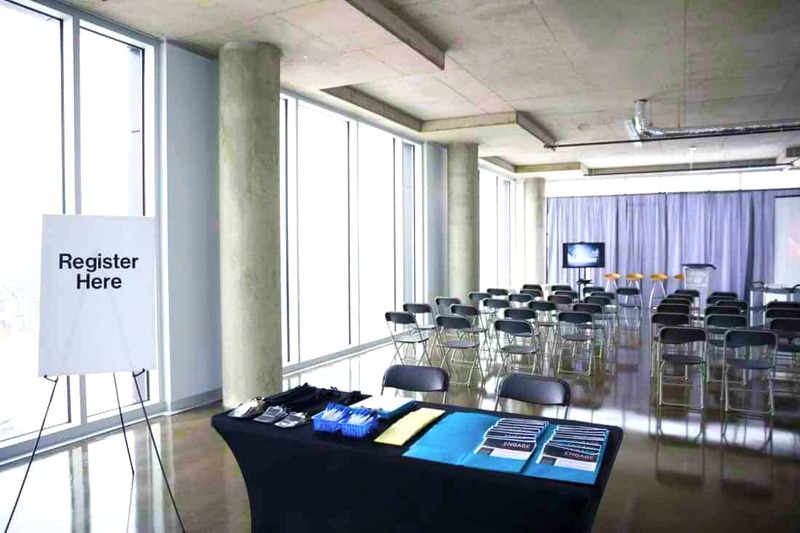 Seminars occur over 2 – 4 hours while conferences can be a whole day event. At Skyline, we have audio visual equipment such as small and large screens and microphone setup. Other requirements such as podiums, stage setup or easels for signage can also be provided. 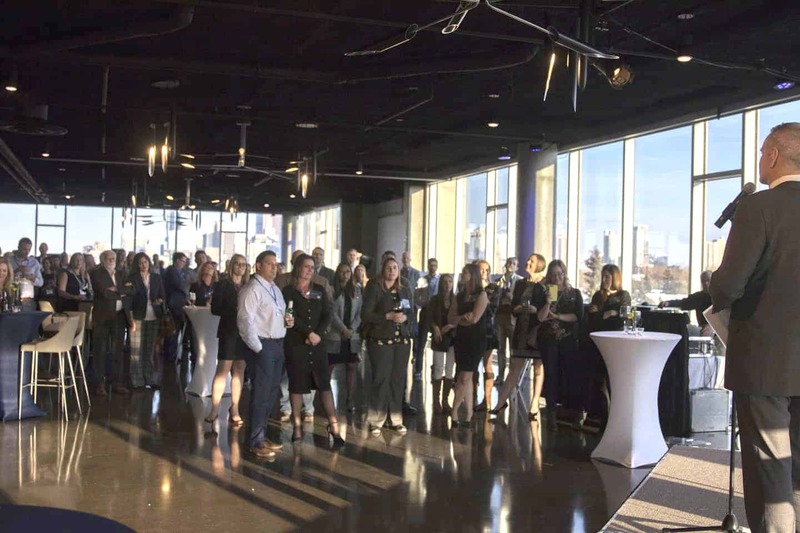 Whether you are organizing a cocktail reception for a client appreciation or employee appreciation dinner, the Skyline room can be configured to suit your style. Some of the types of company milestones can include clients, vendors and employees. Depending on your company milestone event, we can tailor the menu and décor to create a special theme. Annual General Meetings are held once a year and require special setup. Our venue host is available at all Skyline events to ensure all the specific needs for your Annual General Meeting adhere to your preferences. From Stampede to Christmas and everything in between, holiday celebrations are meant to be held at Skyline. Be sure to contact us well in advance to secure Skyline for your next holiday celebration. Skyline offers large and/or small screens and stand up or lapel mics for your audio/visual needs. The Skyline ceiling has been designed to reduce echo and reverberation to improve the acoustic quality. Skyline offers the best service. From the site manager, to the servers and bartenders, our staff knows that quality service is one of the key benefits of having your event at Skyline. Skyline can hold up to 300 guests for any type of event. We have select floor plans that are typical for different sized events, but can always configure the room to get the most out of it depending on your vision. We have a dedicated venue host at every event held at Skyline. They will be there to ensure your guests are happy and that you can enjoy the experience as well! Did you know we have a number of menus to choose from? You can select from any of our standard menus or ask us about a custom one that can include a range of delectable food within your budget. Fill out our interactive form or upload your requirements document. We will get it right away and start evaluating your needs. We get to work, you sit back and relax. We will reach out if we have questions in the process. This usually takes 2-4 business days depending on the event size and type. We’re there for you. You do your job, we do ours.